This is a self portrait I finished recently. I’m not really the type to paint self portraits, I find other subjects much more interesting than myself. For that very reason, I painted this portrait so that the viewer is my canvas, my subject, my beautiful work of art, looking out at me. Making me two dimensional. 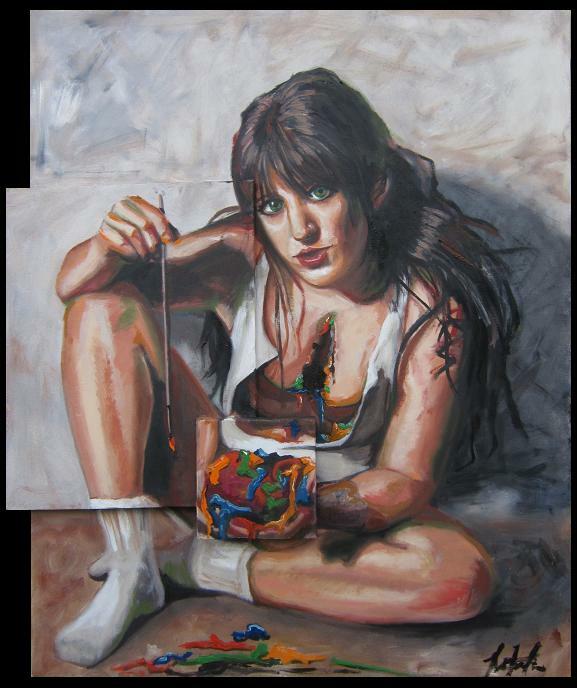 The heart ripped out of my chest and pumping out pigment is basically how I feel when I paint. Not painful, but passionate.